At 10:40AM IST, the domestic currency was trading at 71.22/$. On Friday, the unit appreciated 14 paise to close at 71.31/$. The Indian rupee appreciated 15 paise at 71.16 against the dollar during intraday trade on Monday. 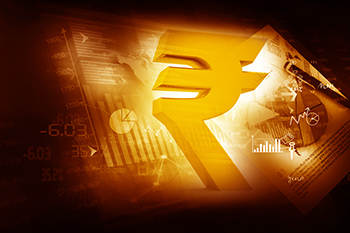 The currency opened 7 paise higher at 71.24 against the dollar compared to its previous close of 71.31/$. At 10:40 AM IST, the domestic currency was trading at 71.22/$. On Friday, the unit appreciated 14 paise to close at 71.31/$. The rupee appreciated after the Reserve Bank of India’s Monetary Policy Committee (MPC) on Thursday reduced the policy repo rate by 25bps. The repo, reverse repo, and the Marginal Standing Facility (MSF) rates have been reduced to 6.25%, 6%, and 5.75%, respectively. Four out of 6 MPC members voted in favor of the rate cut decision, while Dr. Acharya and Dr. Ghate voted to keep the policy repo rate unchanged. Meanwhile, equity benchmark indices were trading in the red on Monday amid weak global cues. The Sensex dropped 216 points at 36,330 levels, while the Nifty was down 77 points at 10,866. Heavy selling pressure was witnessed in auto, metal, banking, FMCG, and realty indices, while the Nifty IT index is up in today’s trade.